I'll probably use a different picture when i can get more guild members online at the same time to take a pic. 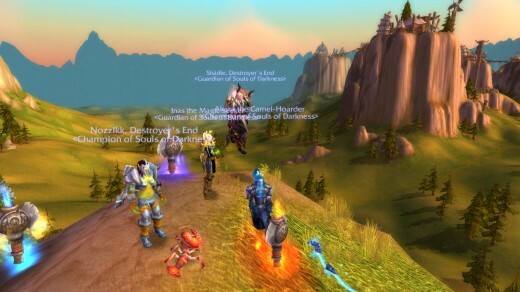 Please refer to my previous hub “How to maintain a successful guild in World of Warcraft – part 1” for the first part of this segment. So at this point, you should have a fair bit of knowledge on what type of guild you want to be, the types of people you want in your guild, how to get more members, and the proper way to advertise. In this hub, I will cover promotions, dealing with drama, and finding fun guild activities to do. Promotions are a very important part of leading a guild. You’ll notice very quickly that new members will contact you and ask you “How do I get promoted in this guild”. You need to be prepared to have an answer for that. I only promote people when they’ve been social enough, and involved enough for me to take notice to them. I do promotions once a week or twice a month. I work my way down the list, starting with the lowest ranked members. If I’m going through the list and see someone’s name and think “Well who is this person? I’ve never seen them before” then I probably won’t give them a promotion. I am online constantly; I don’t have a job that requires me to leave the house, so I am able to play all day. Therefore, I am able to converse with all of my guildees and get to know them. So, your opinion on how to handle promotions might be different than mine. Promoting Officers: Officers are also a very important part of the guild. Officers are people that assist the guild leader with pretty much everything. They help keep the members in line, they assist with making decisions for the guild, they monitor what goes on in the guild, and report any suspicious activity to the guild master. These people should be capable of answering questions for new members, and be able to properly send them in the right directions when needed. When promoting someone to officer you need to make sure that this person can be trusted. Typically GM’s will promote their real life friends and family to the officer rank, or very trustworthy online friends. I’ve learned the hard way that you cannot promote just any of your good friends to officer. I had a couple friends that I thought were worthy of the Officer position, and then sooner or later they abused their privileges by removing members from the guild that didn’t deserve it, or taking stuff that they shouldn’t have been taking. Keep things like this in mind when you promote people, make double sure you can trust them. got my guild to make an attempt at a funny drama scene. Hear my story about how I got started leading my guild "Souls of Darkness" and how they became my family! So, you might be wondering how to lead a guild. Well on my site, I will show you how I got started with leading my guild and all of the hardships and rewards that come along with it. This is part 1. No matter how much you try to avoid it, drama will come up sooner or later. It’s easier for smaller guilds to avoid this, because they are normally a tight-knit group of friends. However, once you start getting into those large numbers, it gets harder and harder to keep the drama out. So, what do you do when drama starts firing up in your guild? First off, stay calm and professional. If people are arguing with each other in guild chat, stay professional and calmly tell the people arguing to stop, and that you will be taking the conversation into private. By doing this, members will notice how you handle those things and will respect you for it. Once you get the conversation to end in the public guild chat, you want to get the people arguing to sort out their differences. Form a group with the other people and tell them to keep the chat in party chat, nowhere else. This will force them to talk to one another, while you are able to supervise, and the rest of the guild doesn’t have to watch it. You may have to be prepared for people to leave your guild, or you may have to remove them yourself. Either way, try your best to keep it as professional as possible. If you don’t give them anything bad to say about you to other people, people should still respect you. I’ll give an example of something that happened in my guild once. I had this friend in the guild, I won’t drop names but I thought he was pretty cool. He was a decently high ranking member because he had become my friend and showed no signs of giving me trouble. Until one day, he made a joke in guild chat that I found offensive. I simply told him that he had taken the joke too far, and asked him to stop. An officer of mine had also said that she found the joke offensive, but said nothing else. He then proceeded to cuss at her, call her names, and things like that. I told him to not say anything else in guild chat and that I would talk to him privately. I then contacted him and explained why I thought the joke was offensive, and that the way he reacted towards an officer was unacceptable. He wouldn’t have it, and cussed me out, and after 30 minutes of trying to reason with him he continued to say things in guild chat, so I ended up removing him from the guild. You should be prepared for things like this to happen and always try to keep things as civil as you possibly can. I maybe could have handled things better, but I doubt it would have made a difference; he would have still kept acting the way he was. What fun activities do you plan to do with your guild? Find activities that the guild enjoys…. The last bit of information I will give in this hub is to find activities to do with your guild. 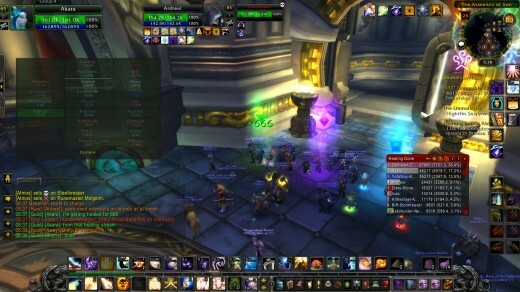 If you are a raiding guild, set up weekly raids. 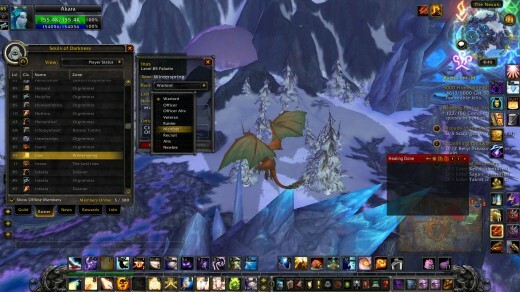 If you are a pvp guild, set up rated battlegrounds and arenas. If you are a role-play guild, set up RP events, get creative. -Transmog runs. 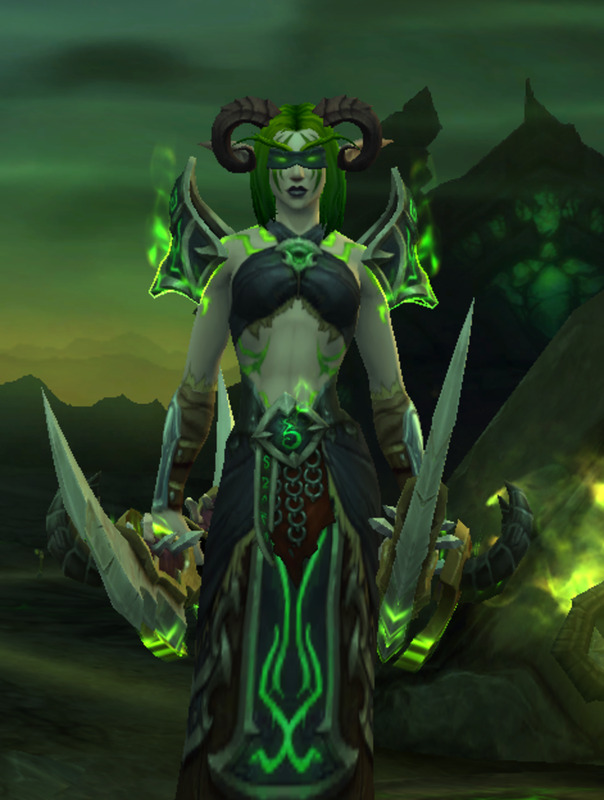 People love to transmog, especially me. So, create a weekly, or monthly transmog run and raid some stuff that people can’t solo. For example: Run Heroic ICC or Ulduar. Those can’t be solo’d and people will enjoy running with the guild as a whole. 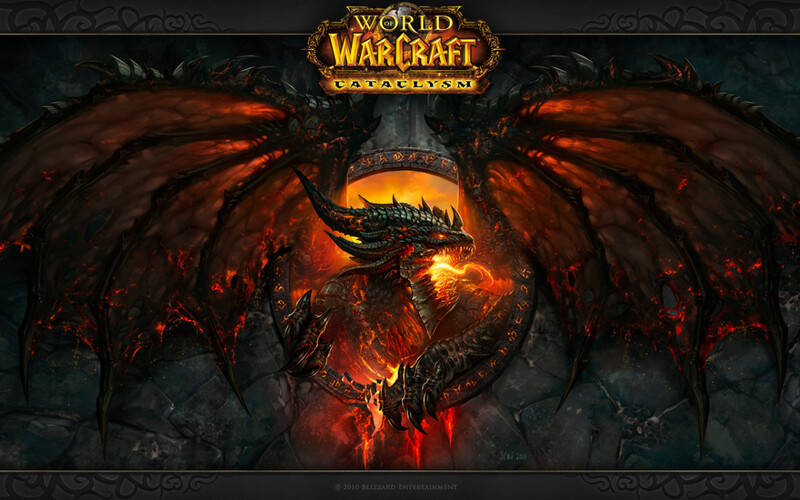 -Guild games- I try to engage my guild in these ‘games’ that have cash or mount prizes. For example, we played one that was called “Pin the tail on the Tauren”. The judge will create a tauren, jump off of Thunder Bluff, and then all contestants will have 3 tries to attempt to land as close as possible to the judge. The winner will receive the prize, which in my case is normally 1,000 gold. -Helping out new people- I cannot stress how important it is to help out new members. These people are very important because if you make a bad impression, they could go tell other people and guilds that you aren’t helpful or that you are rude. You don’t want this type of thing being spread about you. Let people know right off the bat that they are important. I normally tell people that if they have any questions or concerns, feel free to contact me at any time and I will help them. Maybe occasionally offer to help out low levels by running them through a dungeon, or making them some gear. If they notice that you are being helpful, they will likely stay in the guild longer and tell their friends about you. Always try to keep a positive attitude. I know it might be hard to keep a happy face all the time, but in the end, just be yourself. People will respect that, and people understand that life takes a toll on you. If you are having a bad day, your guild will not lose respect for you. Don’t stress out too much, stay positive, professional, and happy. Is there anything in this hub that I left out and you are still wondering about it? Comment below and I will get back to you asap. I may possibly even make a hub about it!